Iranian entrepreneurs and business owners gathered in Berlin Thursday for a three-day startup conference to explore opportunities in Iran's hi-tech sector. Renowned American startup guru David McClure opened the iBRIDGE Berlin conference with a keynote speech to more than 80 business owners coming from Iran, Europe and the US. McClure highlighted the "tremendous potential of the Iranian startup market given the country's remarkable technological progress and its highly educated population", IRNA reported. McClure, who has invested in over 500 startup companies all over the world including the Middle East, said Iran was also an extremely lucrative market for him. The conference is attracting over 2,000 attendees and online viewers, aimed at studying the role that a high-tech entrepreneurial ecosystem can play in Iran's economic development and diversification. The event will be featuring keynote speeches, panel discussions, dozens of workshops and breakout sessions, as well as touring local startups in Berlin, widely regarded as the hub of newly-established businesses in Europe. According to organizers, the conference is to focus on startup mentorship, investment guidance and exchange of ideas like branding and marketing of products and services. Panel groups will also dwell on branding design, social innovation, social entrepreneurship in Iran, venture capitalism and big data. 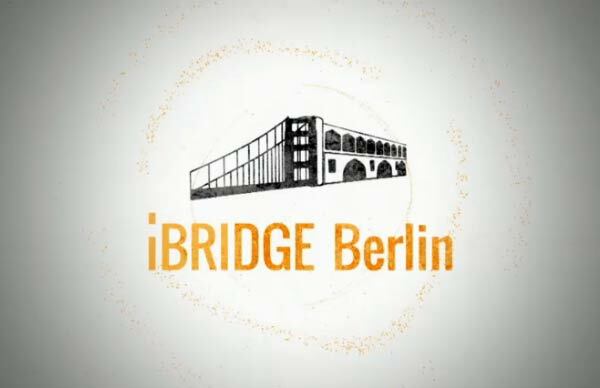 iBRIDGE Berlin is a sequel to iBRIDGE Berkeley, the innovative conference held at the University of California, Berkeley on September 6, 2014. The sold-out groundbreaking event brings together thought leaders and seasoned entrepreneurs from California's Silicon Valley and Iran. They are exploring opportunities and challenges of high-tech entrepreneurship in Iran and its impact on the country's ongoing economic development. iBRIDGES says it is a non-profit global movement for accelerating innovation economy in Iran via education of high-tech entrepreneurship. The initiative was started in 2014 as a collective effort of Iranians interested in and involved with high technology entrepreneurship in the US. Since then, it has grown to a larger worldwide community engaged in organizing annual conferences.